Maryland Style Crab Soup in just 30 minutes. It's easy to prepare… just add tomatoes and seafood. A rich blend of spices, vegetables, and barley that brings the flavor of the Chesapeake Bay right into your kitchen… in a convenient pouch! Restaurant Quality Flavor! Each box makes 10 (1 cup) servings. Cream of Crab Soup in just 25 minutes. It's easy to prepare…just add milk and crab meat. 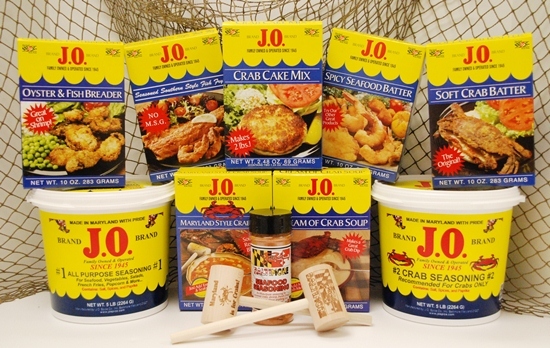 A versatile product offering a high quality cream of crab soup or a tasty hot crab dip. Flavor equal to that of your favorite restaurant! Each box makes approximately 7 (1 cup) servings.